Switz Paradise Hotel i Kota Kinabalu, Malaysia: Reservér nu! With its 68 spacious designed guests rooms at affordable rates, Switz Paradise Hotel is the first choice for many leisure and business travelers visiting Kota Kinabalu, Sabah. 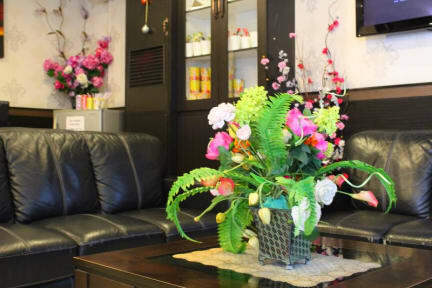 At Switz Paradise Hotel, every effort is made to make guests feel comfortable. 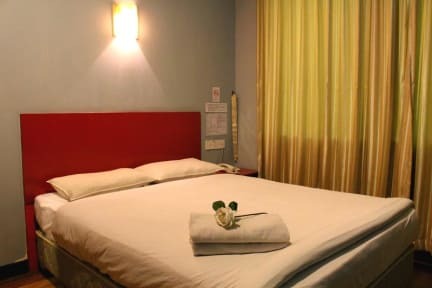 To do so, the hotel provides the best in services and amenities such as free complimentary Wi-Fi in the lobby and all rooms, photocopying and printing service, 24-hour front desk, tour desk, luggage storage, coin operated laundry machine, cold and hot drinking water, and a smoking area to ensure guests the greatest comfort. Ample covered car parking is available just in front of the hotel which is owned by different management. Superb facilities and an excellent location make Switz Paradise Hotel the perfect base to enjoy your stay in Kota Kinabalu.